Managing groundwater resources sustainably is of paramount importance to society and environment. In Nepal, groundwater plays an important role in the lives and livelihoods of the majority of the population. But in the recent decade mismanagement of water resources, urbanization and industrialization together with climate change threaten the harvesting and conservation of groundwater aquifers which are subject to increasing stress both in terms of quantity and quality. In every water sub-sector, the dependence on groundwater is increasing with each passing year. Groundwater serves as an attractive, reliable, and easily accessible source of water. Given its numerous benefits, groundwater management should be more strategic and proactive while dealing with the potential impacts of water scarcity arising due to climate change. 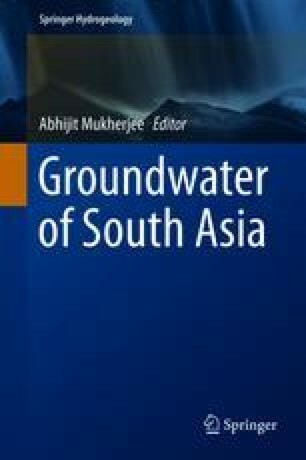 However, water management policies in Nepal give little attention to groundwater management and governance. To tackle such problems effectively, there is a need to explore the relationship between groundwater, climate, and people through collaborative efforts, all the while keeping the question of vulnerability in mind. For this, policy reorientation is necessary so that it addresses the potential vulnerabilities of groundwater to the warming climate, the rapidly changing economy, and the diverse social contexts. This requires institutional arrangements to progress alongside engineering. Therefore, progress in groundwater management and governance calls for engaging a broad range of societal actors, through inclusive governance structures that recognize the dispersion of decision making across various levels and entities. The author is grateful to Ms. Sneha Pandey and Mr. Kanchan Mani Dixit for their help in editing of the manuscript.